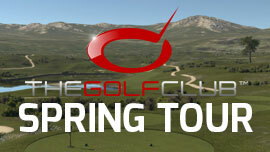 The TGC 2019 Spring Tour will be weekly events running from March 22, 2019 - June 30, 2019. These exciting TGC Tournaments are open to golfers of all ages and skill levels. Get ready to compete on courses such as Pebble Beach, Magnolia National, Whistling Straits, Chambers Bay, and many others. Come join the competition and have fun. We hope to see you on tour! New owner to GC2 and now I'd like to get an HMT for it. Here's a simple little drill to help you focus on making great contact with your pitch shots and full swing iron shots. Hockey drill to turn through the shot and stop slicing your driver. The PGA Tour announced on Monday a licensing agreement with developer HB Studios that will see Tour branding featured in HB's upcoming "The Golf Club 2019" video game. Per a release, the game's career mode will take players “on an authentic journey through Q-School, the Web.com Tour and a 32-tournament PGA Tour season, including the FedExCup Playoffs, to become the FedExCup champion." There are currently 335 users online. 61 members and 274 guests. Most users ever online was 1,654 at 02:44 AM on 12-11-2018.